Canada is America’s closest neighbor, partner and ally. The two countries are each other’s largest trading partner, recently celebrating 25 years of free trade. Besides a solid relationship, the two countries have quite a bit in common. They are two of the largest countries in the world, the new 8th wonder of the world (Niagara Falls) is on the border of the two countries, and both countries are democracies. Another thing Canada and the U.S. have in common is something neither is proud of. They still allow the use of asbestos, which costs each country billions of dollars each year in asbestos-related occupational disease. According to the Globe and Mail, “the economic burden of lung cancer and mesothelioma from work-related asbestos exposure in Canada amounts to an average of $818,000 per case.” That’s around $1.7 billion per year and the Globe notes that this is likely an underestimate. Other sources, such as the medical journal Occupational and Environmental Medicine, estimate the annual cost at $2.35 billion. For a country of close to 37 million people, the economic burden is more than taxing. In the U.S., occupational illnesses and injuries cost the federal government more than $300 billion annually. Of this amount, asbestos-related illnesses account for several billion dollars annually, which includes legal and medical costs, and government programs such as public assistance, social security, disability, and unemployment. Even with a population of nearly 326 million worth trillions, several billion dollars annually is still a significant drain on the U.S. economy. 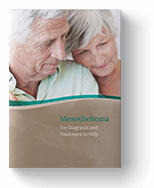 Though the current costs of lung cancer and mesothelioma from work-related asbestos exposure are daunting for both countries, there is light at the end of the tunnel—at least for one. In December 2011 the last asbestos mine in Canada closed its doors. Just under five years later, in May of 2016, Prime Minister Justin Trudeau said at a building trade unions conference that the federal government is moving forward on an asbestos ban. “Its impact on workers,” he said, “far outweighs any benefits that it might provide." Per the Globe, the declaration was the first time since taking office that Trudeau had publicly talked about a potential ban. "Today I am pleased to announce our government is taking the first step to ban asbestos," Science Minister Kirsty Duncan said at a news conference at the Ottawa Hospital's General campus. Health Minister Jane Philpott added, “we are taking action that is long overdue, and we are doing it in the best possible way," referring to the action being taken as a "cross-government approach." Back in the U.S., in 1989, a final rule under Section 6 of the Toxic Substances Control Act (TSCA) banned most asbestos-containing products. However, in 1991, the rule was vacated and remanded by the Fifth Circuit Court of Appeals. As a result, says the United States Environmental Protection Agency (EPA), “most of the original ban on the manufacture, importation, processing, or distribution in commerce for the majority of the asbestos-containing products originally covered in the 1989 final rule was overturned.” What this means is, asbestos-containing products from clutches and clothing to floor tile and roofing felt are still legal. Unfortunately, unlike America’s neighbor, a full ban of asbestos is nowhere in sight, so the billions lost will just keep adding up, along with the thousands of asbestos-related deaths each year. Butet-Roch, Laurence. "The Last Breaths of a Dying Asbestos Mine." Narrative.ly. Narratively, 04 Aug. 2015. Web. 20 Sept. 2017. "Canada vs United States." Diffen. Diffen, n.d. Web. 20 Sept. 2017. "Fact Sheet: Canada – United States." Justin Trudeau, Prime Minister of Canada. Office of the Prime Minister, 24 Nov. 2016. Web. 20 Sept. 2017. Grant, Tavia. "Asbestos-related Cancer Costs Canadians Billions." The Globe and Mail. The Globe and Mail Inc., 24 Mar. 2017. Web. 20 Sept. 2017. Ireton, Julie. "Full Asbestos Ban Expected in Canada by 2018." CBCnews. CBC/Radio Canada, 15 Dec. 2016. Web. 20 Sept. 2017. Poppick, Susie. "America's Total Net Worth Just Hit a Record High." Time Money. Time Inc., 12 June 2015. Web. 20 Sept. 2017. "The Role and Administration of Asbestos Trusts." U.S. Government Accountability Office (U.S. GAO). U.S. Government Accountability Office (GAO), Sept. 2011. Web. 20 Sept. 2017. "U.S. and World Population Clock." United States Census Bureau. U.S. Department of Commerce, 22 Sept. 2017. Web. 22 Sept. 2017. Woeppel, Patrice. "Occupational Diseases in the United States: Workers’ Compensation and OSHA, Our Failed Systems in Need of Overhaul." Workers' Comp Hub: Laws, Resources, & Information for Injured Workers. WorkersCompHub.org, n.d. Web. 20 Sept. 2017.